If you are interested in living close to nature, a great place to start is by growing your own vegetables, fruit, and herbs. If you are reading this article, it’s safe to assume you’re interested in doing exactly that. Permaculture gardening is an excellent way to grow your own food and use what Nature gives you to make it happen. Permaculture gardening means "permanent agriculture" and it is defined as working with natural forces – the wind, the sun, and water – to provide food, shelter, water, and everything else your garden needs besides plants and seeds. And the best part is that it's all done with the least amount of labor and without destroying the land. Simply put, Permaculture gardening is a holistic approach to gardening. The best place to start with any garden is a good design. If you design before you start, you will have something concrete to build from rather than just going on a whim and picking plants that may or may not do well together and may or may not work well within a Permaculture garden. The guiding principle of a Permaculture garden is you are replicating patterns of growth and harvest that occur naturally. Any garden designed with this in mind is a Permaculture garden. Decide and design based on how much you intend to use those natural elements in your garden. First, decide how big your garden will be based upon the space you have available for planting. Then decide if you want to plant a traditional garden with just a few Permaculture design features thrown in or if you want a complete, top to bottom, stacked Permaculture garden. Using mulch or ground cover crops to protect the soil and help keep it in place. No dig gardening. Tilling the soil disturbs the structure of your dirt and exposes lower layers of your soil to sunlight. That can destroy very beneficial nutrients and living creatures beneath the topsoil that are beneficial to your garden. Earthworms are your friend. They disturb little but manage to keep the soil broken up enough to allow for water to get to your plant roots. If you plant garden beds, it's ideal to design them so you never have to step inside the beds to harvest. When you step on the soil, you compact it, preventing air and water from getting to the roots of your plants. Give your soil a good health check before you start planting. If you have dry soil or soil that has little or no organic contact, you will need to need to build it up before you start. Compost your soil but do so without turning the soil any more than absolutely necessary. Use cover crops like beans or peas to protect your soil. Cover crops will keep the soil in place and, before they seed, you can cut them down and let them stay there to decompose and feed your soil. Take a walk through the forest and you will see a prime example of plant stacking. Trees are the top layer, shrubs grow below them, then herbaceous plants then ground covers. Vines grow up through the mix. Mother Nature knows what she’s doing. By stacking the plants, you can utilize your space more efficiently and produce more with limited space. Plant stacking also makes maximum use of the natural elements, such as sun and water and helps to provide protection from the wind. Mother Nature grows plants to replace others as they die off. This protects the soil and gives an unending supply of produce. Organize your Permaculture garden so that you are planting new plants when the existing ones are at the end of their production cycle. You will always keep plants growing, protecting your soil, and you will spend less time waiting for the next crops to come in. You can plant crops together that stimulate plant growth, make your plants more resistant to pests and disease, hide other plants from pests, and/or attract beneficial insects such as pollinators or beneficial predator insects that eat the pests. When you start designing a Permaculture garden, it can be overwhelming if you agonize over every little detail. A good way to avoid that analysis paralysis is to just break your project down into smaller parts and handle them one piece at a time. Start with the smaller tasks first and then congratulate yourself as you finish them! Look at the big picture and design your overall garden — but when it comes to actually building your garden, do one small piece at a time. Know from the very beginning how big you want your Permaculture garden to be. You may have a huge space but do you really want to use it all? One of the benefits of Permaculture gardening is that they take much less maintenance than a traditional garden because you are letting Nature do a lot of the heavy lifting for you. Take a look at the sun and shade requirements for the plants you want to grow. Consider access to water and how much wind your garden is subjected to when designing your garden. Don’t start your garden in the middle of a growing season. The best times to plant are fall and spring. Construct the largest pieces of your garden first. If you are using a stacked plant design, plant your trees first, make sure they have a good water source, then plant the progressively smaller plants. Ground covers should go in last. 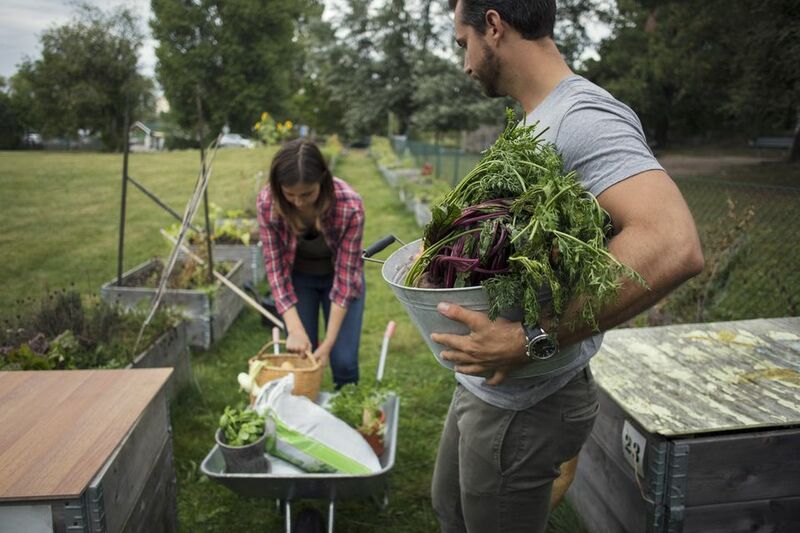 Summer is a good time to start planning your Permaculture garden for fall. Use these guiding principles to get started and you are on your way to a successful, easy to maintain a garden that minimizes the effects of gardening on Nature itself.